I LOVE a good coloring book. When I broke my leg two years ago coloring books helped save my sanity when I was housebound for several weeks. However, most of the books I bought or received as gifts were either mindless doodles or simply pretty pictures to color. This book however serves a purpose: It showcases people of color and invites you to be creative in how you see them. 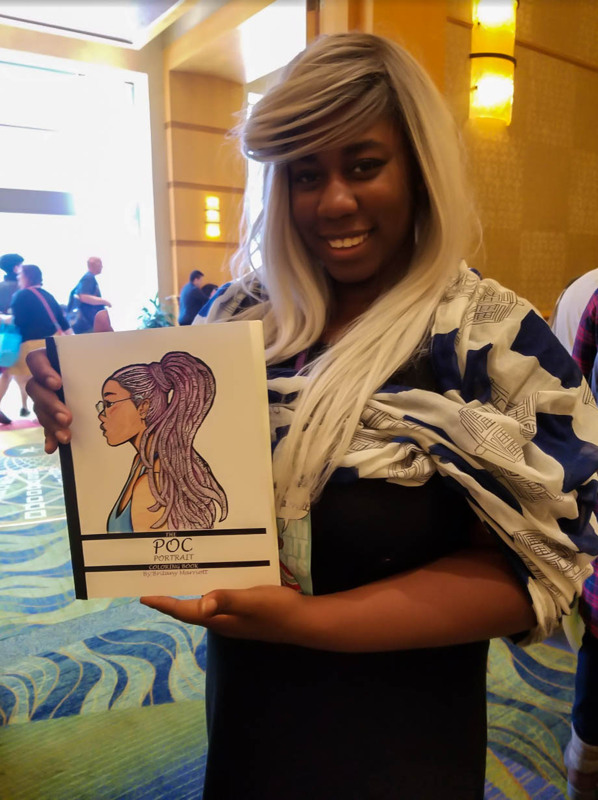 Artist, Cosplayer and Graphic Artist, Kurenai Kiba debuted her POC Portrait Coloring Book at SPX. I was attracted to her booth by the beautiful cover art Kurenai is holding in this photo. She describes her coloring book as “filled with a diverse collection of portraits ready to color with no boundaries on your imagination”. The book is a delight and I can’t wait to start coloring! Hereville is the story of an 11 year old Orthodox Jewish Girl who fights trolls, bullies, and an unruly pig—while we learn about her life and her religion. First released in 2010, Hereville has now grown to three volumes, received the Sydney Taylor Award, and was nominated for Eisner, Ignatz, and Nebula awards. This delightful story of a young female hero is both fun and educational. I love that this solidly entertaining story gives the reader a chance to explore the Orthodox Jewish religion through Mirka’s relationships with her faith and her family. 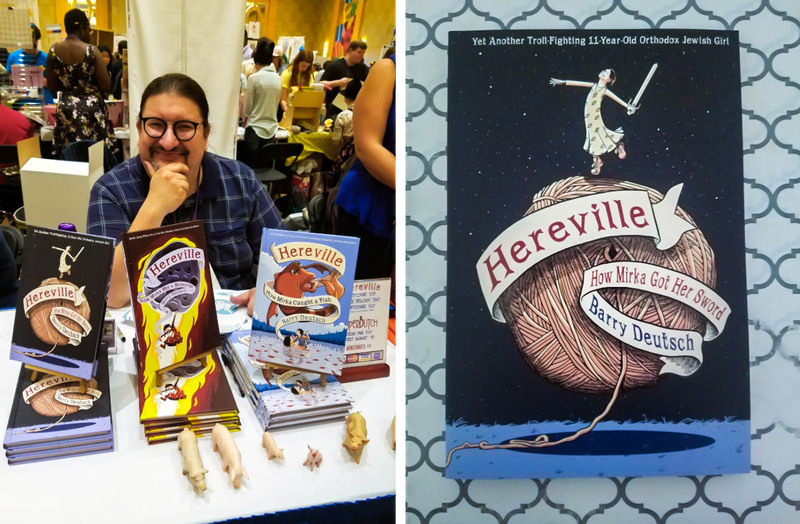 The best review I can give to Hereville is to tell you about the two young girls who came up to creator Barry Deutsch’s table while I was talking to him at SPX. When asked “Have you heard of Hereville?” the two excitedly exclaimed “Yes! We’ve read all 3 books!”. 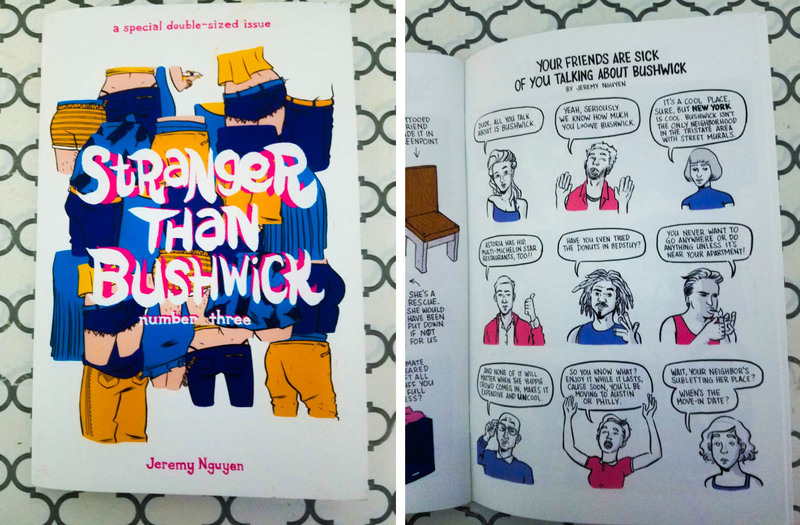 If you’ve ever lived in or visited the Brooklyn, NY neighborhood of Bushwick you’ll love the witty, sarcastic humor of Stranger Than Bushwick. I picked up volume three because it’s a double issue and I couldn’t get enough of Jeremy Nguyen’s hysterical calling out of all things Bushwick. From Bushwick dating culture to gentrification, Jeremy pulls no punches when addressing issues relatable to every city dweller—especially long time residents who have seen their neighborhoods slowly taken over by the tragically hip. Even if you’ve never been to Bushwick, it’s a really funny take on some of today’s millennial hipster culture. I’m a sucker for all things cute. At one point I even had to put myself on a “cute diet” and forbid myself from buying anything if my first reaction was “OMG how cute!” But I had to make an exception for this one. When I walked past the Curls Studio booth this dishwasher magnet set off my “OMG how cute!” reflex, but I justified my purchase because hey, it’s also practical, right? I mean, I can have Carolyn’s awesome art on display in my kitchen while knowing I remembered to turn the dishwasher on. And, not only is it adorable but it’s from one of the most active female comic artists in the DC area. Carolyn writes & draws Curls, collaborates with Joe Carabeo on three other comics, and is also the chair and a board member of the DC chapter of the National Cartoonists Society. She regularly contributes to Magic Bullet and helped found Cartoonists Draw Blood. Plus she does freelance work and can be heard on the The Carolyn and Joe Show podcast. 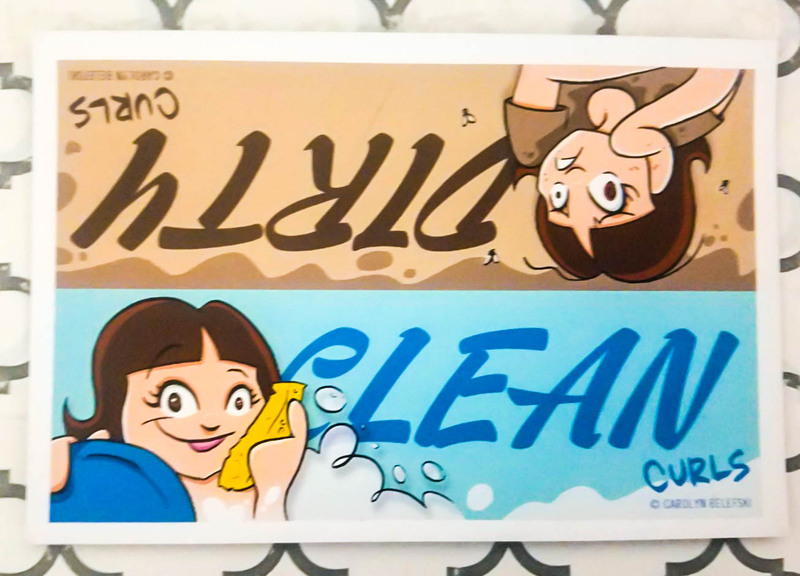 As busy as she is I bet she often forgets whether the dishes are clean or not—good thing she came up with this magnet! 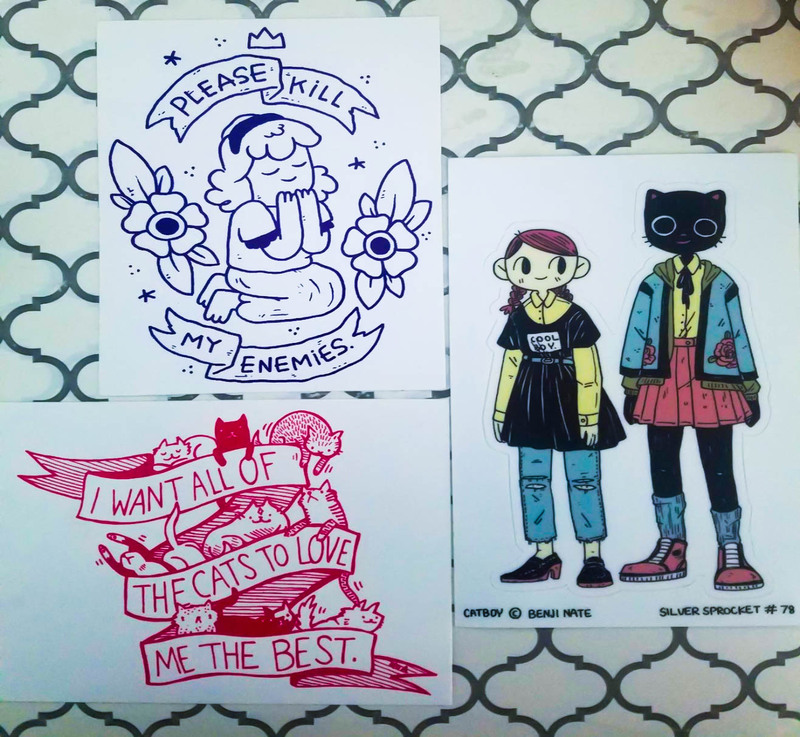 These stickers!!! The “Please kill my enemies” sticker called out to me as I passed the Silver Sprocket booth. I’d just been through some pretty serious personal drama with some people I’m not particularly fond of, so the cute drawing accompanied by the biting words really struck a chord with me. Silver Sprocket, who describe themselves as “an art crew, comic and zine publisher, record label, and collection of budz”, have a lot more to offer than these stickers though. 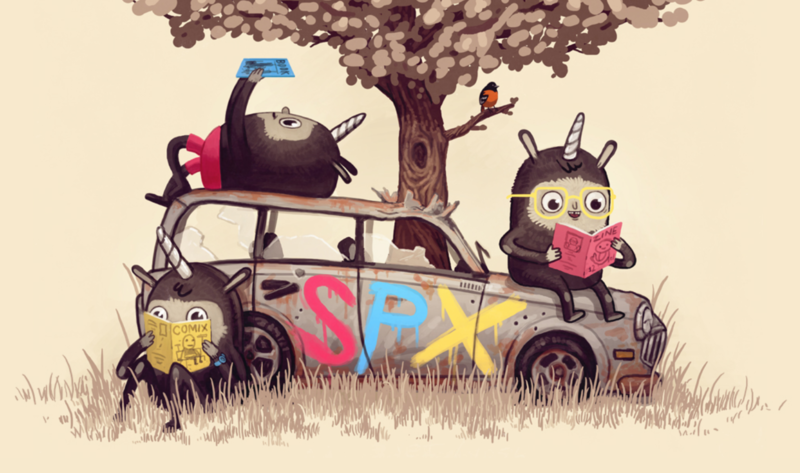 With titles like Girls, Catboy, Be Your Own Backing Band, and Please Keep Warm, as well as Ben Passmore’s Ignatz award winning Your Black Friend, Silver Sprocket has some of the most relevant, creative titles I’ve come across lately…and did I mention, these stickers! !